A blending of biography, history, and literary criticism which explores the life and times of Joseph Conrad, his turbulent age of globalization and our own. Jasanoff does not forgive Conrad his blindness, but she does try to present his perspective on the changing, troubled world he traveled, a perspective that still has strong resonance today ... she becomes a detective piecing together the incidents big and small that formed classics like Lord Jim, Heart of Darkness, Under Western Eyes and Nostromo. She helps us make sense of the seeming contradictory decision on Conrad’s part to write about the effect of empire but never set his novels in any of the colonial possessions of his adopted homeland, Britain ... His art, which he defined as the capacity to make readers hear, feel and see, was able to capture the contradictions within empires and the resistance to them. This is the Conrad who comes alive in Jasanoff’s masterful study. The Dawn Watch will become a creative companion to all students of his work. It has made me want to re-establish connections with the Conrad whose written sentences once inspired in me the same joy as a musical phrase. The Dawn Watch will win prizes, and if it doesn’t, there is something wrong with the prizes ... The Dawn Watch is an expansion of the biographical form, placing an individual in total context: Joseph Conrad in world history ... In a globalised world, Conrad’s writing has a new applicability; he writes about quandaries that we know ... Jasanoff sees Conrad’s prescience about the future direction of the world in novels like Nostromo (set in South America, which he had barely visited) as stemming from a theory of globalised capitalism that drew on direct observation. 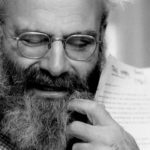 His writing was implicitly political at every turn, but he had seen too much on his travels from childhood onwards to put much faith in organised politics. ...what makes Heart of Darkness (1899) and indeed Conrad himself so interesting is precisely the fact that they don’t evade their moment. They embrace it instead; they confront it. The achievement of Maya Jasanoff’s continuously perceptive book lies in showing just how. The Dawn Watch is the most vivid and suggestive biography of Conrad ever written. Yet it covers only a part of his life. Or maybe I should say that it skips over a lot, that it barely touches many of the things that fill most other biographie ... We’ve lately begun to see books about serious literature that combine rigorous scholarship with an appeal to the general reader, works of inspired popularization that avoid the specialized language of literary theory. Most of them use the scaffolding of biography, and the best are James Shapiro’s two studies of single years in the career of Shakespeare, 599 and 1606. The Dawn Watch is a worthy companion, with its story framed by an account of Ms. Jasanoff’s own travels, first on a container ship, and then down the Congo River itself. It isn’t perfect, and she does scant themes and works she should really consider ... I wish Maya Jasanoff’s beautifully written book were longer. 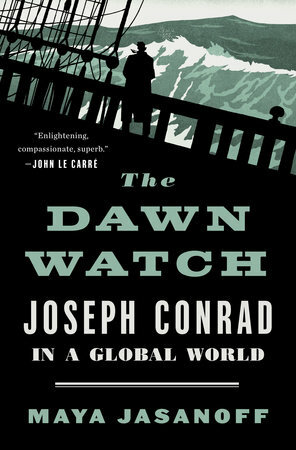 What did you think of The Dawn Watch: Joseph Conrad in a Global World?